Last week, The Current broke the news that LUS’s electric business could be for sale. 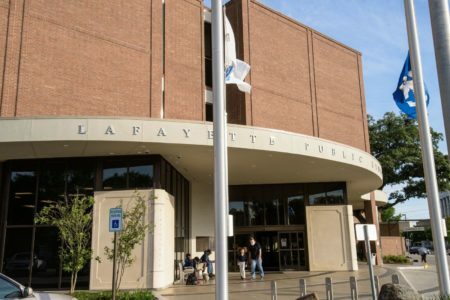 While there are more questions than answers about that possibility, the one thing we know for sure is that it’s a perfect example of the unfairness baked into the structure of Lafayette’s consolidated governance. To understand why, you first have to appreciate the difference in scale between the city and the parish governments. The city of Lafayette brought in almost $95 million in revenue to the general fund last year; the parish just shy of $12.5 million. The city government spent more than $83 million out of the general fund last year; the parish government a bit over $6 million. The city has assets totaling more than $53 million; the parish less than $2 million. The city employs almost 900 people; the parish less than 100. 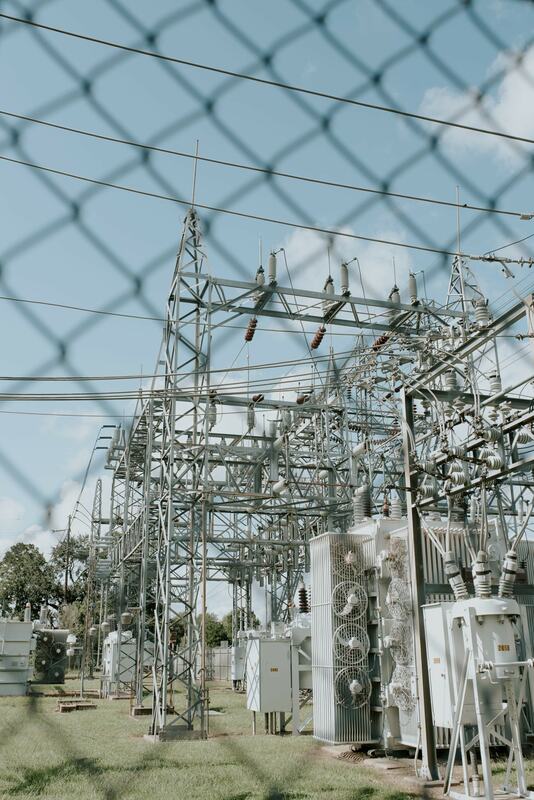 And that’s all before you get to LUS, or LUS Fiber, or the Lafayette Public Power Authority, which together encompass another $250 million in annual revenue and about $1 billion of assets. So while the city may only represent half of the population of the parish, the city’s portion of Lafayette Consolidated Government is an order of magnitude larger than the parish’s. Now with that context, let’s turn our attention back to the decision to cash in on LUS. 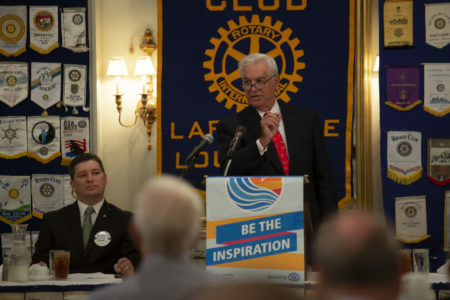 If Mayor-President Joel Robideaux finds a deal he likes, the first vote would go through the Lafayette Public Utilities Authority, which consists of the five City-Parish Council members who represent districts with majority city residents. They’re ostensibly in charge of LUS, LUS Fiber and the LPPA. Here we find the first instance of unfairness in the structure of Lafayette’s consolidated governance as there are 9,800 city residents who live in the four districts with mostly parish residents. Since these council members don’t have seats on the LPUA, the interests of these city residents would not be represented in the initial discussions over what to do with the city’s largest asset. While this equates to less than 10 percent of the population of the city, it’s still a lot of people to disenfranchise. You could argue that ultimately doesn’t really matter because most LPUA decisions must also be approved by the full council anyway. And on the full City-Parish Council, every member has an equal vote on what happens with LUS, which is owned by the city, even if they represent a district that’s more than 90 percent parish residents. The unfairness of this becomes most clear when you put yourself in the shoes of a council member who represents primarily parish constituents. Take William Theriot, for example, whose district is 94 percent comprised by people who live outside of the city of Lafayette. Let’s assume that he’s a hard-working, engaged council member who spends 30 hours a week on his duties representing his constituents’ interests. How is he supposed to divide that time between governance of the city vs. the parish? If he’s most worried about the issues that affect his constituents, then he should be spending more than 90 percent of his time on parish-related issues. But if he did that he’d be spending 90 percent of his time on things that represent less than 10 percent of the budget he votes on. Even if he were to spend 50 percent of his time on city issues and 50 percent on parish issues, he’d be over budgeting his time spent on the parish side. Remember, the parish general fund only spends around $13 million each year while the city general fund along with LUS, LUS Fiber and LPPA spends $367 million every single year, excluding dedicated funds. Yet if Mr. Theriot were to spend 90 percent of his time on the more than 90 percent of the budget that represents city interests, he’d be doing a disservice to his constituents, 94 percent of whom don’t live in the city. This tension becomes even more acute when looked at in light of a possible vote to cash in on the city of Lafayette’s most valuable asset: LUS. Is a parish council member like Mr. Theriot supposed to represent the interests of his parish constituents and only spend 6 percent of his time analyzing this deal to make the best decision, or is he supposed to put the vast majority of his constituents’ interests on hold while he devotes adequate time to this most consequential of decisions? 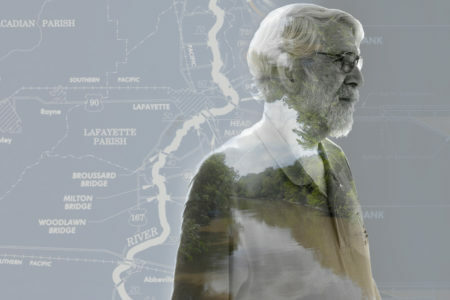 If I were a resident of the parish of Lafayette who doesn’t live in the city of Lafayette, I would want my elected representative to be focusing all of his or her energy on issues that face the entire parish and not exert so much effort on behalf of issues that may only matter to the city. And as a resident of the city of Lafayette (and the parish, by the way), I want my elected officials who may be charged with deciding the fate of LUS focusing their effort and energy on ensuring the best deal possible. Decisions like this can make or break the future of the city. Every city resident should be represented in that decision by a fully invested councilman. But right now the way LCG is set up, that’s just not the case. This isn’t about whether any council member is a good person or an effective and faithful representative. We need to recognize that the current structure of consolidated governance creates conflicting incentives for sitting council members and creates the conditions of bad representation, willfully or not. Something must be done to resolve what is a systemic unfairness. It may not be any one councilman’s fault, but it’s the council’s job to fix it. Critics have taken aim at the library's reserves. But, as local governments look to stabilize budgets in times of economic flux, fund balances are key to long-term planning.